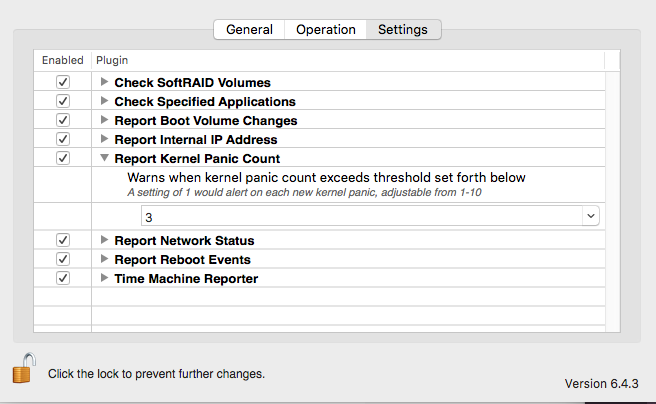 How are Kernel Panics reported? The Monitoring Client by default will send a report after the first Kernel Panic, and then after every 3rd Kernel Panic. This behavior can be adjusted in the PreferencePane. The Monitoring Client will send a report after every 3rd Kernel Panic.